Dr. Swaminath, MD serves as the director of the Inflammatory Bowel Diseases Program at Lenox Hill Hospital. He is a practicing gastroenterologist with a clinical practice focused on treating patients with Crohn s and colitis, a major contributor to the gastroenterology fellowship training program at Lenox Hill Hospital, and with an appointment as an Associate Professor in the School of Medicine at Hofstra Northwell School of Medicine. 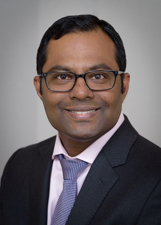 Dr. Swaminath provides multidisciplinary care for complex patients, leads the multidisciplinary IBD case conference, and is the principal investigator on a number of phase III clinical trials. In addition to authoring numerous original clinical, translational, and review articles, Dr. Swaminath is a sought after speaker in the field of inflammatory bowel diseases. He has served as a NYC Crohn s and Colitis Foundation Chapter Medical Advisory Committee chair and currently participates as a member of the national scientific advisory Professional Education Committee. He has been featured on television news, and numerous print and online media. "Dr. Swaminath showed competency, perceptiveness, empathy, and patience with my questions. I would highly recommend him. Northwell is lucky to have him." "This was the first time I felt heard. I was treated with respect and compassion." "I've already recommended him to two friendly with gastro issues." "Dr. S was very nice. Great bedside manner. Smart. " "i wish there was an even higher score than Very Good." "This office is by far the nicest and most caring office I've ever had the pleasure of attending. Everyone is so nice and sweet, it really makes me feel extremely comfortable." "im very comfortable and confident with Dr"
"I would follow Dr. Swaminath anywhere." "I have recommended Dr. Swaminath to a friend." "Dr Swaminath is one of the best physicians I have dealt with to date. I love Dr. Korelitz and I thank him for recommending Dr. Swaminath to me. He is very knowledgeable, answers all my concerns in layman's terms and has a very good bedside manner." "Friendly, casual, exudes much confidence." "Dr. Swaminath is fantastic; not only being a fantastic doctor for Crohn's but he has a wonderful bedside manner & knows how to deal w/me." "Dr. Swaminath is a wonderful physician. He is willing to listen & work with a patient. Also he spends quality time with a patient and returns phone calls which all doctors do not complete. Lastly, Dr. Swaminath has a great sense of humor which can make all the difference." "Dr. Swaminath has my complete confidence and trust." "Dr. Swaminath is great. Very chill. Dr. Korslitz recommended a very good replacement when he retired. Very knowledgeable and caring." 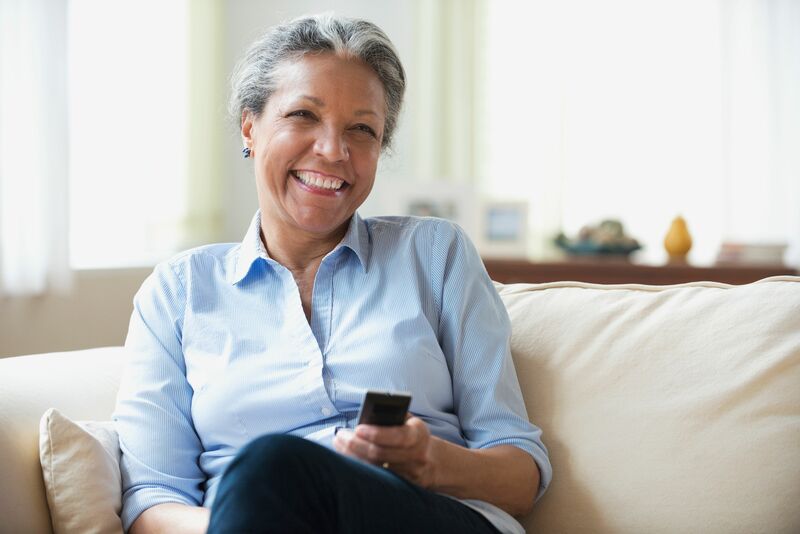 "I was with my last provider for 40 years so switching to a new one was a little scary. Dr. Swaminath is excellent. Put me at ease and I have complete confidence in him." "I have recommended to 2 friends." "Best doctor found in life." "very thorough discussions whether explaining medications, reviewing symptoms or discussion treatment options. I have never felt rushed. Appreciate that Dr. Swaminath looks at me directly when speaking with me." "Dr. Swaminath is one I would recommend to EVERYONE! He cares about my health MORE than I think about! He respects his patients & works kindly with them! I'm very appreciative!" "First, I already recommended people to my doctor. second the doctor was more concerned about my wellbeing then anything else. Great job Dr. Swaminath"
"I would definitely recommend this Dr. he makes you feel comfortable and I understood what he said to me about my condition using simple terminology"
"Can't say enough good about Dr. Swaminath AND his staff. The best of the best!" "Only my second visit but already comfortable with Dr, Swaminath and his staff." "ALL of my experiences w/Dr. Swaminath and ALL of his staff since I became his patient in November 2015 have been pleasant, comfortable, and very professional." "Met all my needs with impractical timeliness, because on some days, I have an impractical schedule. Might sound confusing, but I gave office very little lead-time and they surprisingly accommodated me." "I had a very, very bad experience with Dr. Swaminata, both in hospital and after." "I've been to many diff. doctors for diff. issues. Dr. Swamina was among the best in every single area." "Wonderful doctor - clear, precise communication and excellent rapport with patient." "He is the best GI doctor I have ever met, and I changed 5 of them." "Dr. Swaminath was excellent. Very kind and compassionate. A trustworthy doctor." Drs. Arun Swaminath and Aaron Harrison tell HealthDay that the findings are interesting, but more research needs to be done. Drs. Arun Swaminath and David Bernstein discuss the possible benefits of "poop transplants" with HealthDay. Arun Swaminath, MD, comments in this Reuters Health story. Kenneth Spaeth, MD, and Arun Swaminath, MD, comment on a study about plastics being ingested in you. Andrew Belliveau, 20, threw a pie in his own face in 2016 and challenged others to do the same. The Gastroparesis Pie Face Challenge is meant to raise funds and awareness for a rare stomach condition he describes as a never-ending stomach flu – a condition he lives with. MLB stars have taken his challenge and helping Andrew achieve his goal. Dr. Arun Swaminath, gastroenterologist at Lenox Hill Hospital, explains what gastroparesis is, and how it affects those diagnosed. Bacon, sausages and other processed meats can cause cancer, according to a new study by the World Health Organization. Dr. Arun Swaminath, gastroenterologist at Lenox Hill Hospital, says a mediterranean diet can lower your risk. Preventing colon cancer starts with a simple colonoscopy. Dr. Arun Swaminath, Director of the Inflammatory Bowel Disease Program at Lenox Hill Hospital shows you just how simple it really is.